Lightning shards, or crystals you name can be used in the recipe. You need in the game. So how to get lots of lightning shards? Here are several ways to help you get. 1. The quickest way is to buy shards from Marketboard. Because if you're crafting that much, 100-200k for a few thousand shards is nothing. Level 60 gatherer lets you get crystals/clusters easily though. 2. The rather quicker way is simply to get them 1 by 1 (+procs) by mining or botany. Crystals and clusters are easier to get due to Aetherial reduction. Miner gets the one specifically for lightning shards. You can cross class others from botanist. The mining retainers and botanists both give you a total of 120 shards per 40 minutes. 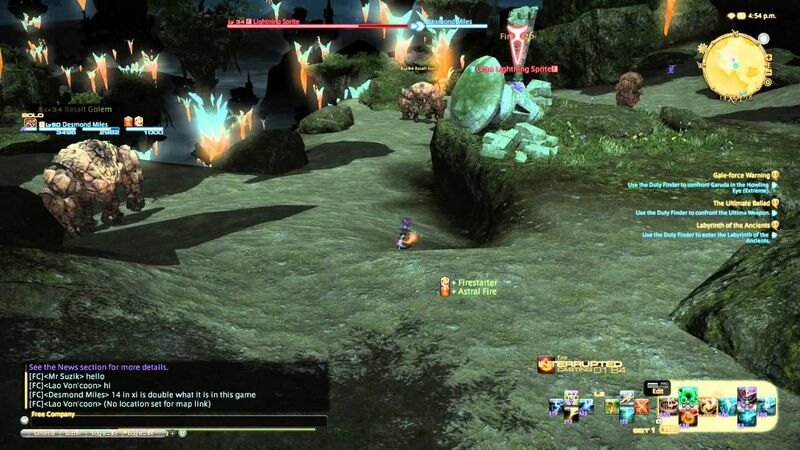 Retainers can gather shards. You can use retainers, but they're slow. Even if it's not that efficient if you can't gather a lot of ventures but it's somewhat automatic. 3. Some levequests will reward you shards as well. Doing the quests from the other DoH professions up to level 15 will net you a few hundred of each shard. 4. If you gather, at level 20 you get an ability that increases shards gathered per attempt to three. Certain Level 25 nodes have a higher chance for procs that increase either the shards per attempt or the number of attempts. Same is true for level 50 nodes. 5. If you have a house, or personal room in a FC House, or Apartment or w/e. Get as many flowerpots as you can put into your personal room. Get Levinlight seeds and Shroud Soils, put them in your pot, water them, go to sleep. wake up, you got shards, do this before going to sleep every day and you'll have plenty. 6. You can grow them in a garden plot. Using G3 Shroud soil you can harvest 100 shards from each Levinlight seed. With a grow time of 1 day and 8 seeds in a plot you can harvest 800 shards per day. Harvest location for the Levinlight is Central Thanalan (25, 19). It's a hidden item so it won't show up every time. Do you get that? Buying from the marketboard seems to be the quickest way to ease up your immediate need. Have a try with these ways and see whether they work if you don't want to buy. More game information you can check on our website ffxiv4gil.com, where cheap ffxiv gil sale is available. More question you can ask for customer service. Good luck.